I always get stoked when I get photos of winners sending me a photo of themselves with their prize. 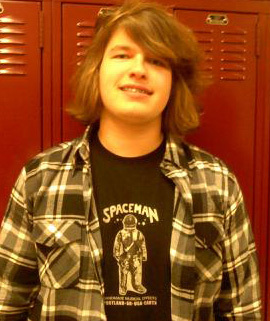 A couple of weeks ago on Free Shirt Wednesday, I promoted Spaceman Effects. Zak at Spaceman also wanted to give away a shirt to a lucky EffectsBay winner. The give away was open for a few days, and the random winner was Matt R. of Saint Peters, MO! Matt was kind enough to send over this photo! Congrats Matt! Free Shirt Wednesday – 1/4 – Spaceman Effects Porter Pickups Winner – Laurent Berta VFE Pale Horse Winner – Congratulations Mike Kabatt! Tonebutcher WeeWah Winner!